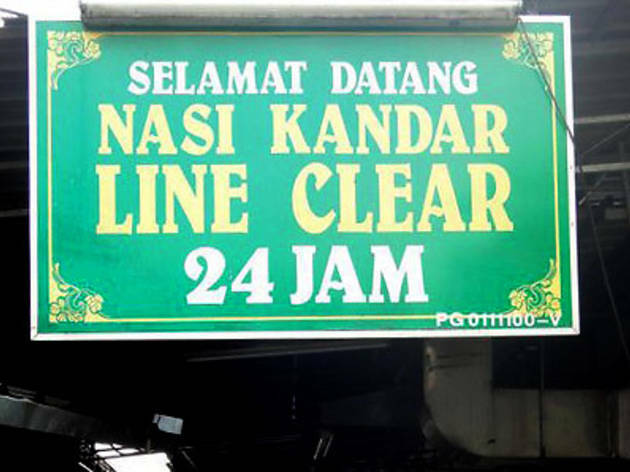 One of the oldest nasi kandar eateries on the island, Nasi Kandar Line Clear is a must-visit to try the hearty rice dish that originates from Penang. Inconspicuously planted along Penang Road, the small entrance leads to an alley set up with wooden chairs and tables. Come lunchtime, there is little doubt as to whether you're at the right place; Line Clear buzzes with activity during peak hour. Get a side of fried chicken with your plate of rice and don't forget to flood the lot with one of more curries. 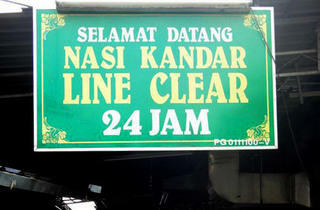 Recently met the owner and family members of Line Clear Nasi Kandar in KL (Yeah, Line Clear Nasi Kandar now open in Kampung Baru, KL) They told me the Penang Line Clear is not own by the original owner and now take over by the Bangladeshi worker (An old worker in Line Clear history) and his son. So, not so original already. Anyway, the food still okay..